Pomerol, Château Latour à Pomerol 2010 – Earthy, plum, black cherry and cocoa notes create the perfume. Plush, deep, rich and fresh, the wine ends with polished, sweet plums. Tannic, the wine needs time to soften, fill out and come together. Pomerol, Château Latour à Pomerol 2010 – Following a strong effort in 2009, the 2010 is one of the finest Latour a Pomerols produced in many years. Tiny yields (due to the spotty flowering of the Merlot) and small berries (a result of the drought) have produced a dense purple-colored wine with lots of licorice, camphor, black currant, earth and spice notes. 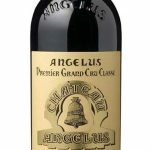 The sweetness of the tannins along with the wine’s density, opulence and richness make it one of the finest recent examples from this estate (which is attempting to reclaim the legendary status it enjoyed in such ancient vintages as 1947, 1950, 1959 and 1961). The 2010 should drink well for 20 or more years. Gorgeous nose with strawberries, toasted hazelnuts and milk chocolate. Black currant, sweet licorice and lots of flowers. Great fruit and full body on the palate with a structure that just keeps adding layers of fruit and minerals. Very silky tannins and wonderful intense finish. It’s about great harmony in this wine. Best Latour a Pomerol in years. Drink from 2017. 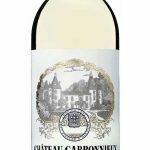 The Latour-a-Pomerol ’10 has a “strict” bouquet with tightly would black fruit that demand coaxing from the glass. With several minutes aeration there are mineral tones coming through, suggestions of black truffle that will surely develop with bottle age. The palate is medium-bodied with crisp tannins. It has good backbone, a little more precision than vintages say in the 1990s tended to exhibit. This is a very terroir-driven Latour-a-Pomerol that is not as generous as the 2009 but has superb tension on the finish. Earthy, plum, black cherry and cocoa notes create the perfume. Plush, deep, rich and fresh, the wine ends with polished, sweet plums. Tannic, the wine needs time to soften, fill out and come together.